Slip into this mid-century modern oasis, the pinnacle of Beverly Hills style, 60s sexiness, and 2017 smart living. The elite compound merges Sinatra’s flair with Bond’s technology. In this 60s socialite dream home, tucked into one of Trousdale’s most private streets, no expense was spared in pulling it into the 21st century. From the sweeping roofline to the flared pool edge, every line is elegant and tantalising, as if sketched by Pininfarina. Meticulously detailed, every inch has been engineered to the slightest degree, from the heated terrazzo floors, to the slabs of rare stone. Stir up a martini and set the scene: Each detail is just a touch of a finger away via the savant system. Stroll out to the poolside bar and floating lounge that overlooks explosive views of L.A. There is no substitute for this lifestyle. Welcome to Trousdale, where legends, like Elvis, Sinatra, and Dean Martin, called home. 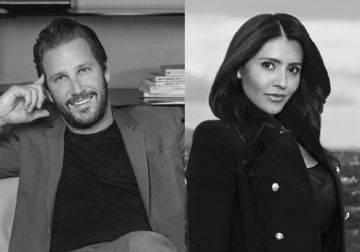 Branden Williams and Rayni Williams are the exclusive agents representing the Hollywood Hills/Sunset Strip, California, real estate market as members of the Haute Residence Real Estate Network. View all of their listings here.